Sodium bicarbonate, also known as Baking soda, is a type of crystalline-like salt that is widely used in cooking and medicine. If you have skin problems that are situated on your face, like rashes, acne, blackheads, pimples and clogged pores, here you will find many baking soda benefits for your problems. Its natural form is nahcolite, which is a widely available mineral found in many mineral springs. Baking soda is the name of the product under which the crystalline is manufactured and packaged in the US. Baking Soda Benefits: What Can We Use Baking Soda? We can use baking soda for its natural anti-bacterial properties that solve a range of skin problems including acne, blackheads, dry skin and much more. Here is the full list of baking soda benefits. Baking soda has anti-bacterial and anti-microbial properties that can cure fungal infections on the skin or beneath it. 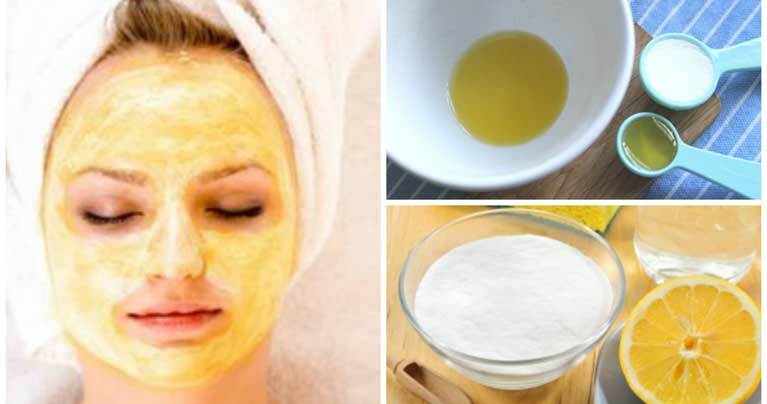 Because of this, it will help you prevent future acne from popping on your face as well as removing to an extent, the already scared ones on your skin. Applying baking soda on your face can also increase the pH value of your skin, and thus help you maintain better pH balance on your skin. Ph imbalance is a major factor in the appearance of acne. Baking soda has a pleasant granule structure that feels good on the skin while exfoliating. It will also prevent unnecessary irritation on the skin. We can easily extract blackheads with baking soda, as well as the looser skin around them. And this is because baking soda has anti-fungal and antibacterial properties that can effectively treat infections. Facial skin that has low pH balance can be a home to a lot of environmental debris and excess oil. This can create pores on your face. Baking soda can restore the balance in your face and repel the debris. It can clear and unclog the pores and help prevent future clogging. Baking soda can reduce pain and discomfort caused by allergic rashes, insect bites, stinging nettle and poison oak exposure. Just mix the baking soda with some water and apply in on the rash/bite. Mix one and a half tablespoons of baking soda with a tablespoon of water. Stir until the paste becomes homogenized. Gently rub on the skin. After about 10 minutes, rinse with warm water, towel dry and apply a moisturizer. Mix two tablespoons of oatmeal and one tablespoon of baking soda. Stir until the paste becomes homogenized. If the mixture is too “rough,” add water, one drop at a time. Gently rub on your face in a circular movement. After 10 minutes, rinse with warm water, towel dry and moisturize. Combine coconut oil and baking soda in equal sizes. Apply over acne or scars and rinse with hot water for 5-10 mins. Don’t forget to towel dry and moisturize. Combine one tablespoon of baking soda with one tablespoon of pure orange juice. Apply on your face for 20 mins. Rinse clean, towel dry, and moisturize. If orange juice is unavailable, you can use grapefruit or lemon juice. Combine two tablespoons of baking soda, two tablespoons of honey and one tablespoon of lemon or orange juice. Wash and dry your face before use. Apply the paste on your face. Wait for 15 minutes. Then rinse, towel dry and moisturize. Combine one-third cup of baking soda, one tablespoon of lemon or orange juice, and two tablespoons of tea tree oil. Apply on your face for 5-10 minutes. Rinse, towel dry and moisturize. Do not use baking soda on tender skin. This will cause a burning sensation and sting. If you have any open wounds, blisters or cracked skin Avoid taking baths enriched with baking soda. If you suffer from sunburn on the face, never use a face mask based on baking soda. After creating any of the masks, make sure to check the sensitivity of the mixture. Dip your fingertip and apply on your hand. If a stinging or burning sensation occurs in 5 minutes, wash the mixture off immediately. Make sure to avoid touching baking soda with eyes. If contact occurs, rinse with cold water immediately.